conducts research through diving and exploration in the South Atlantic. Founded in 2006, we are a group of marine scientists, dive enthusiasts, and volunteers from the local community, all with a desire to contribute towards high quality marine ecological science, inshore resource assessments, conservation and education. Based in the Falkland Islands, we operate throughout the Falklands archipelago and the South Atlantic; most recently South Georgia, Ascension Island, St Helena Islands, and Tristan da Cunha. SMSG welcomes contact from local and international organisations who wish to collaborate on marine research or seek advice on the logistics of research in the South Atlantic. We also invite contact from postgraduate students who may be considering proposals for research in inshore marine ecological studies. Be sure to check our web blog for the latest expedition and new highlights! Are you passionate about the marine environment? Are you up for the challenge of working in a highly productive, diverse and unique environment? 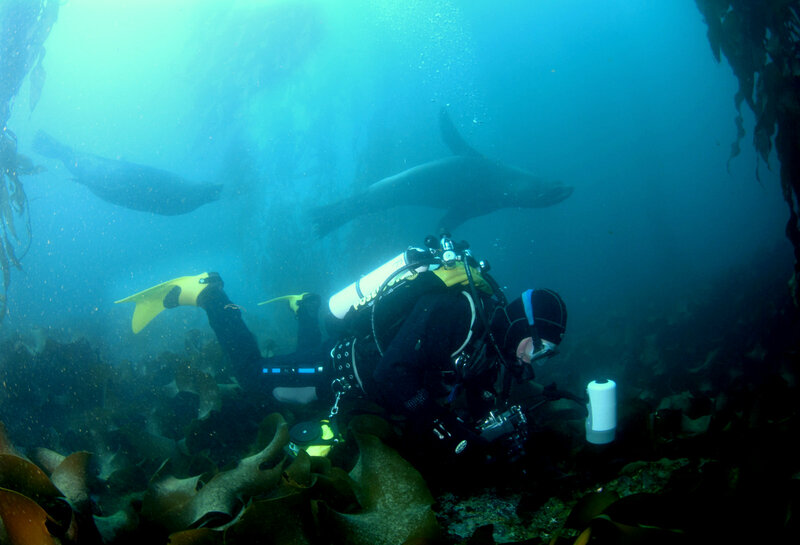 The Falkland Islands marine environment supports highly productive fisheries and abundant populations of sea lions, fur seals, elephant seals, albatrosses, penguins, sooty shearwaters, white-chinned petrels, prions and much more! The role will involve working in partnership with other experts in the field, like deep water marine biologists, coastal ecologists, higher predator ecologists, oceanographers, policy formulators and legislators. Marine Spatial Planning (MSP) within the Falkland Islands was first explored during a successful two-year Darwin-Plus funded project (DPLUS027). Following its successful conclusion Falkland Islands Government (FIG) contracted SAERI to undertake a second phase (MSP Phase II) which covered three key aspects including an Assessment of Fishing Closure Areas as Sites (AFCAS) as potential Marine Management Areas (MMAs) against international criteria for MPAs in the Falkland Islands. The project will use diverse, cutting-edge scientific methods to build on an integrated understanding of Falkland Islands marine ecosystems. In conjunction with stakeholders, evidence-based recommendations would be developed to zone MMAs in the AFCAS areas identified. Following agreed, informed designs, an economic assessment will aid understanding present and future consequences of policy formulation. MMA site management plans will be consulted upon. Relevant legislative frameworks will be drafted to support designation and site management plans. The Falkland Islands economy is reliant on its marine environment; fisheries and tourism are major contributors to GDP. Developing hydrocarbon resources will contribute significantly to the economy. With such marine environment reliance stakeholder consultation and engagement will be a key component of this project. For the Project Manager/Senior Scientist role, click here. For the Graduate Marine Scientist role, click here.